Yes, I know, it would have been MUCH BETTER if I had posted this little montage a few weeks ago to get you thinking, planning and creating in time for some Valentine’s craftiness, and I really have no excuses – but I didn’t want to NOT share my fav finds for L-O-V-E knitting. And really, couldn’t you surprise the love of your life with a little giftie any day of the year?? Of course you can! #1: Pop Heart a little freebie with I want to hang off my handbag to remind me that all there is is love. 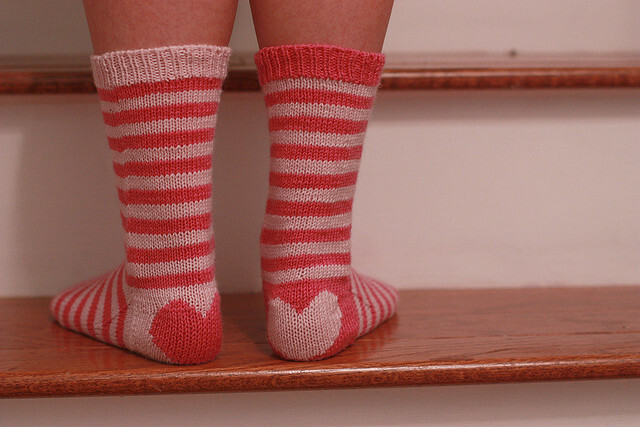 #2: Love Socks – totally sweet, cool, fun, and cute! all in one. Bonus – another free pattern and they knit up in Spud & Chloe Fine per-fect-ly. There’s no way that these socks will be completed, or even started right!? but that’s why I have called it a wishlist. 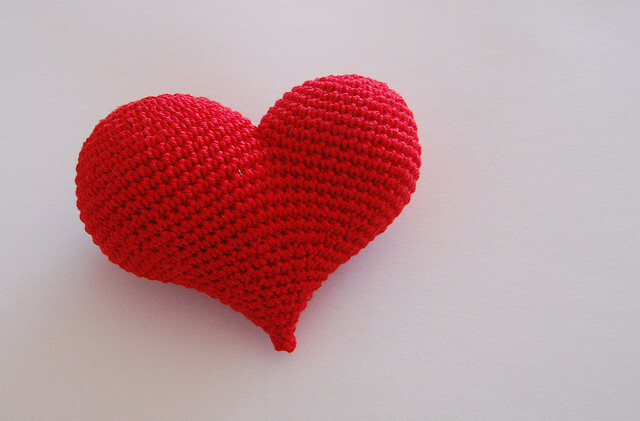 Happy Valentines to you all, my your day be full of love and happiness.